The duvet jacket Dogby from Trespass is a fantastic jacket with a wonderful red colour and marine blue inside. The jacket will keep your dog warm in a great way and is also incredibly light. 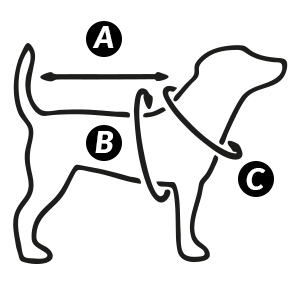 You can attach the leash to the collar inside the jacket through the pre-cut hole at the neck of the jacket. Dogby is made of 100% polyester and stuffed with 90% down feather and 10% feather. The jacket is closed using a zipper and buttons on the stomach. Use the jacket for walks in parks or in the city.